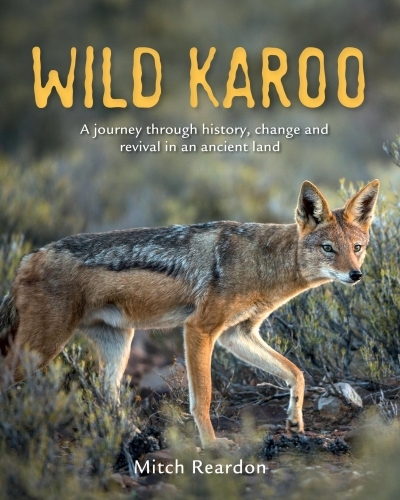 The tagline on the cover of Mitch Reardon’s substantial work, Wild Karoo, states: “A journey through history, change and revival in an ancient land”. And what a journey it is. Meticulously researched and with a relentlessly descriptive and vibrant text - and decorated with an abundance of superb photographs - it is a book which evokes all the grandeur and stateliness of this mystical land. The Karoo is the vast, arid, semi-desert and bio-diverse heartland of South Africa. It spans over 400,000 square kilometres and covers about 40 per cent of the country’s land surface. It straddles four provinces – the Western Cape, Northern Cape, Eastern Cape and Free State. For many years it has been abused and ill-used by man who has attempted, but never quite succeeded, to tame this parched and wild land. Now with the increased interest in eco-tourism and greater awareness of the ecology, efforts are being made to correct past mistakes. It is this that wildlife journalist and photographer Mitch Reardon set out to research for this book. In so doing he travelled some 40,000 kilometres across the length and breadth of the Karoo and visited many of its wildlife sanctuaries, both state and privately-owned. His focus is wide. It includes nature conservation, game – both big and small, the prolific birdlife, reptiles and invertebrates, the unique flora, the ancient geology and the history and lifestyle of the people who have made the Karoo their home. The result is a book which is jam-packed with facts, insights, observations and general information. I am sure there is not much one would want to know about wild Karoo which is not included in this publication. In recent years, I have had the good fortune of visiting some of the same areas that are part of Reardon’s grand tour. If I had read this book before those visits I feel that I could have had a much greater insight and understanding of a land which I already found to be hauntingly beautiful and captivating. I did not find Wild Karoo an easy book to read. It is too full of interesting facts and information to speed through. It demands more concentration and in a sense it is a case “studying” the content in order to absorb it. This soft cover book is beautifully presented on glossy paper. As mentioned before, it is illustrated with an abundance of stunning photographs of the animals, birds, insects and the dramatic topography of the Karoo. I did feel, however, that some of the photographs were published a little too small to be fully effective. As photographer is credited for the photos one can assume that, as a wild life photographer, they are the work of Reardon. He is also the author of four other books about wildlife.